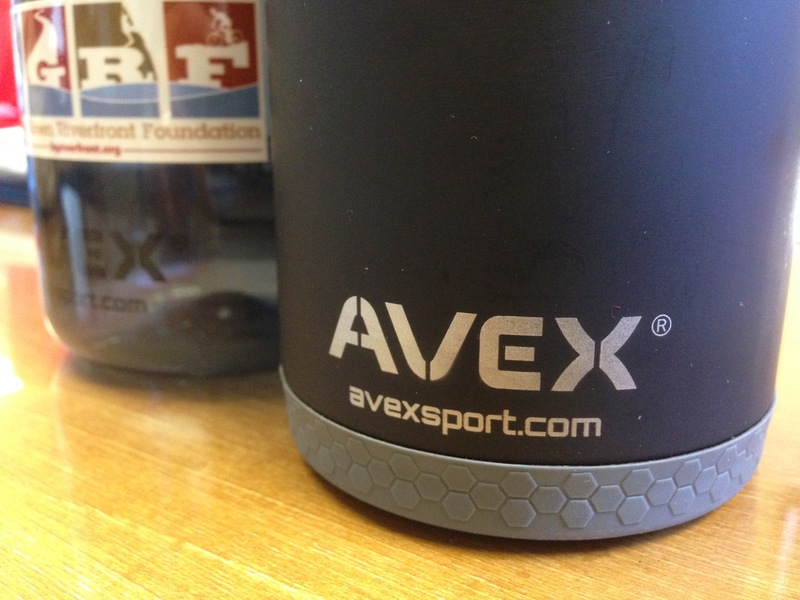 In this week’s review, I look at a pair of bottles from AVEX Sport for all your hydration needs. First up is the AVEX Brazos Autoseal Water Bottle. This 25-ounce BPA-free bottle has all but replaced another-name-brand bottle for me as I head outdoors every weekend. The Brazos has a narrower profile, so it sits in bottle holders easily, and the Autoseal top is perfect: delivering fluids smoothly and without spilling at the push of a button on the backside of the bottle. Another great feature of the design is the integrated carabiner loop at the top, so you can clip and go on your next adventure. It worked flawlessly for me on my weeklong #EpicDangerRoadTrip and a week at Scout Camp. Stickers already adorn my test piece, so it’s safe to say that I’ve claimed it. Retail price is $15… a fair price for a bottle that won’t spill or dribble down your chin. 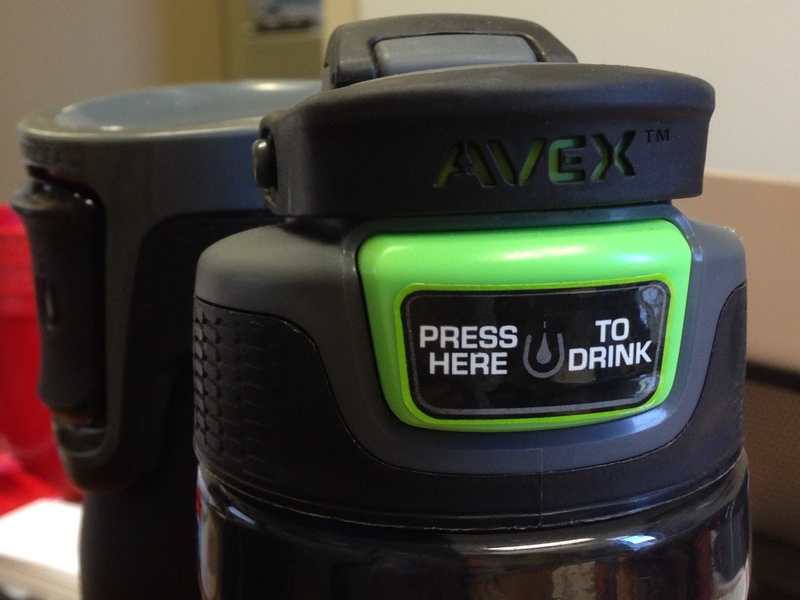 The second bottle I had to test was the AVEX Highland Autoseal Stainless Matte Travel Mug. Sharing much of the same traits as the Brazos water bottle, but entering the insulated stainless realm, the 20oz Highland bottle has a tall, narrow profile and a similar push-to-drink Autoseal top that prevents spilling. You can even lock out the button while it’s riding in your pack. The vented top provides smooth choke-free delivery of your fluid of choice. 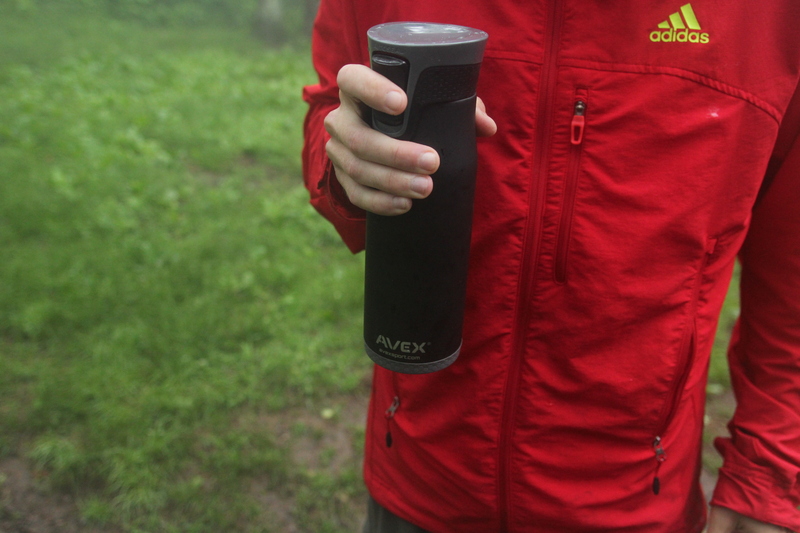 AVEX claims it will keep hot liquids hot for up to 7 hours and cold for up to 20 hours. 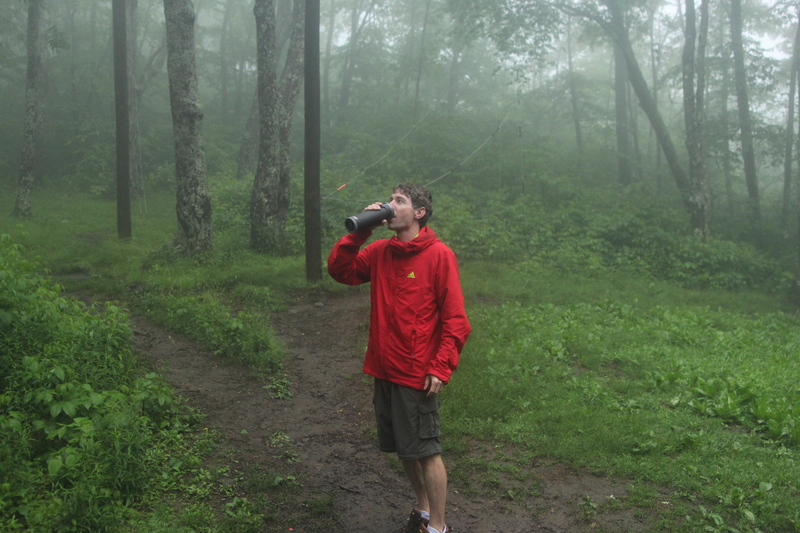 Disclaimer: I’m not a coffee drinker (I know, I’m sorry) but I loaded my Highland up with some Costa Rican java that Stu brought around 9pm, took a few sips and went to bed in our shelter on the AT in the middle of a raging thunderstorm. I woke up around 2am to check the coffee… still warm. Insulating properties? Check. The Highland gets bonus points for being top rack dishwasher safe, and an all around high grade for durability, functionality and value. At $30, this is a great bottle that will last a lifetime. Full Disclosure: I was provided both AVEX bottles through Verde Communications for testing purposes. I was not compensated in any other form, and my opinions/thoughts/praise are all my own.